Classé unveils entry-level Sigma Mono amplifier | What Hi-Fi? The Mono is the latest addition to the Sigma range, which aims to deliver a high-end performance for an affordable price. The Sigma Mono’s power output is rated at 350W into 8 ohms and 700W into 4 ohms. 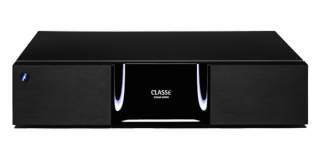 Classé says it benefits from its proprietary Sigma amplifier designs, but in an even higher performance package. Dave Nauber, president of Classé, says the new amplifier will produce a “pure, effortless sound” thanks to a “massive switch mode power supply”. Important parts of the amplifier’s circuitry “surpass what is available in the two- or five-channel Sigma models,” he added. The Sigma Mono features a new analogue input stage, modifications to the operation of the output stage and new output filters designed to improve the overall performance of the mono amp. A pass-through feature allows the input signal to be passed on to a second amplifier for a bi-amplifier set-up. Alternatively, it can drive a subwoofer amplifier. A sample set-up could see a preamp connected to a Sigma Mono, then connected to a second unit. A third, or even fourth, Mono could also be used. According to Classé, the Mono is “the logical choice for anyone who wants the highest performance and prefers a compact, highly energy efficient design”. The Sigma Mono will be available from October, priced $4000.